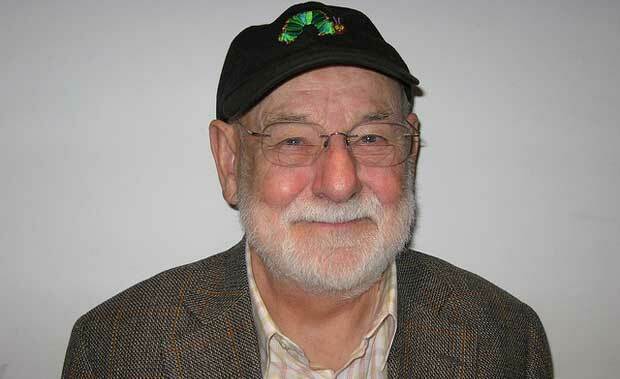 Eric Carle, recognized for his most famous work, ‘The very Hungry Caterpillar’, is a beloved children’s book author. He was born on 25th June 1929 in Syracuse, New York in a German immigrant family. His proud work ‘The very Hungry Caterpillar’ published in 1969, has earned him much love from millions of children all over the world. It has been translated in at least 50 languages and sold over 33 million copies. After his great success in 1969 Eric Carle has published more than seventy books many of which are best sellers also written by him. Over 103 million copies of his books have been sold around the globe till yet. In mid 1929 his family moved back to Germany when he was six years old. He had his early education in Stuttgart and graduated from the Akademie der Bildenden Künste Stuttgart. During World War II, when Eric was 15, he was enrolled by the German Government to dig trenches on the Siegfried line; a memory Eric never really liked to recall. He once told a reporter that his wife thinks that he still suffers from post traumatic stress from those days. During his time in Germany, Eric recalls, he was always homesick and dreamt of his return one day to the land of his happiest childhood memories, America. In 1952 he did finally returned to New York with only 40 U.S dollars in his pocket. His first recruitment in New York was with promotion department of The New York Times as a graphic designer. He was then enrolled in U.S Army during Korean War as mail clerk. Upon his return from war he joined an advertising agency as art director. His first break through which truly began his career struck when Bill Martin Jr. a renowned author and educator asked him to illustrate a story after noticing an illustration of a red lobster Carle created for an advertisement. The store Brown Bear Brown Bear what do you see? came out as best seller and encouraged by this success Carle was soon writing and illustrating his own stories. His first book was ‘1,2,3, to the zoo’. In 2002, with the assistance of his wife Barbara Carle, he founded The Eric Carle Museum of Picture Book Art dedicated to children’s book art. The museum is located adjacent to the campus of Hampshire College in Amherst, Massachusetts. It is regarded as the first full scale museum devoted to national and international picture book art in the United States. Since its inauguration in 2002, the museum has hosted 325,000 visitors. Carle receives hundreds of letters from his young admirers every week which is because of his intuitive understanding of child psychology. In his writing, Carle says that he attempts to address children’s feelings, thoughts and emotions, as well as inspire their intellectual growth. One of the reasons of his success, apart from his innovative and unique art work, is that his readers tend to relate their life and experiences with his stories. In 2009 Google paid tribute to Carle and The very hungry Caterpillar by requesting him to design their logo. Currently Carle resides at Northampton, Massachusetts with his wife a son and a daughter.